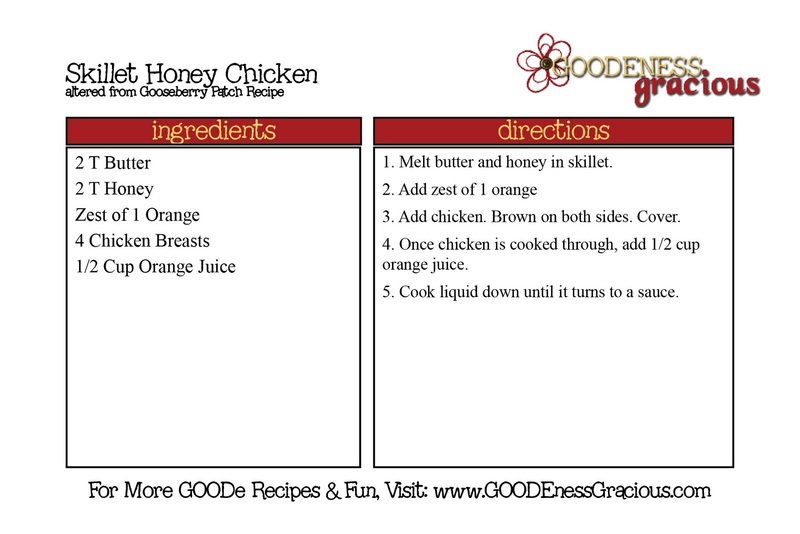 Tonight’s Goode & Gooseberry Project Recipe is Skillet Honey Chicken. I was so excited to find this recipe in Mom’s Favorite Recipes because I just finished working on a project about a local honey farm and this was the perfect excuse to pack up the fam and head over to Hunter’s Honey Farm to get some fresh honey! We had such a GOODe time checking out all their honey GOODies! They even had an indoor observation hive to check out all the bee action! While there we picked up some clover honey, orange blossom honey, bee pollen, raspberry gourmet spun honey, honey almond soap and some honey stix… and Puddie then bought some honey baklava and honey ice cream before we got out of there! And lookie what I found there! Some of Butterflies, Gourds and More’s painted masterpieces!!! I then jazzed it up a bit with a little orange zest. I heart zesting up citrus… it packs such a punch! Then I cut some chicken breasts to half their thickness, threw them in and browned both sides. And put a lid on it until they were cooked through. I reduced the heat to low and then added 1/2 cup orange juice. And cooked down the liquid until it became a sauce. Sounds really simple and easy. That looks so EASY! That's this momma's kind of recipe! 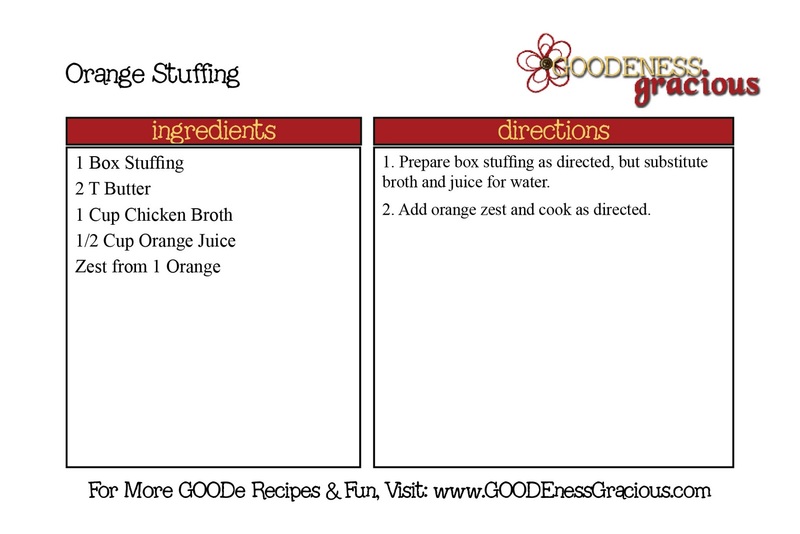 And orange is great with turkey, too, so I may have to give this a try SOON! This does look really easy and really yummy. I'm not a huge honey fan, but Big Sissy entered a baking contest today where honey was the theme so she made Honey Glazed Honey Oat Drops and we made a pork chop marinade earlier this week with honey. Guess we will have to add this to our list to try since we still have some honey in the pantry. I love this cookbook, but this is one recipe I haven't tried. Looks like a winner! This is such an inspired idea! I love that you ran with a recipe as a theme and took your fam to the honey farm! that is awesome! also love the recepie cards! i think i am a new follower!